Jumping straight into Frisky and Mannish’s College Years, having missing out on their 2009 School of Pop, I was a little uncertain as to whether I would be able to keep up with the pace. Fortunately the talented duo are prepared for this, introducing the ‘freshers’ to their unique brand of modern pop dissection with a interactive call and response dance routine which get the audience of their feet and limbered up enough to take part in the rest of the evening’s lesson. Frisky and Mannish are not only hilariously funny, they’re also both brilliant musicians and it’s this skill that forms the basis of their show. A particular highlight is their sketch involving Florence and the Machine and Peter Andre where they show the tonal and rhythmical connection between the former’s recent chart-topping album and a range of 90s cheese-fest pop. Had they given out tutor assessment forms at the end of the night I would have given them both top marks. 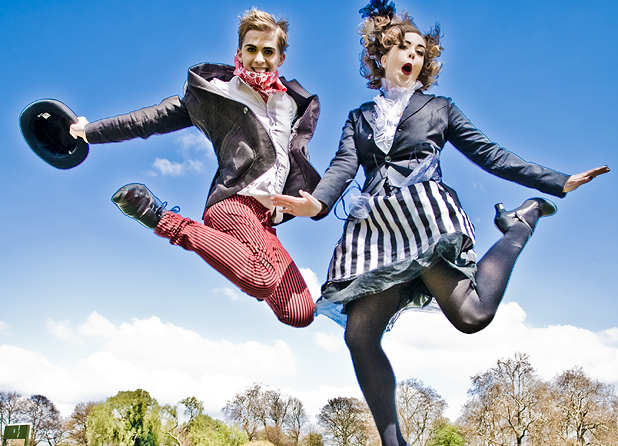 Twisted pop cabaret offering lessons in pop music and featuring the fabulous voices of Felicity Fitz-Frisky and Hansel Amadeus Mannish.